Nathanael Paul Sugarbaker, age 28, formerly of Milton, MA and most recently of Bellaire, TX, tragically passed away on November 23, 2018. Nate was born in Boston, MA on September 9, 1990, the fifth of six siblings. He was the son of Linda Sugarbaker and the late Dr. David J. Sugarbaker. Nate was a loving son, brother, and friend whose love for life and positive outlook were inspiring to all who knew him. 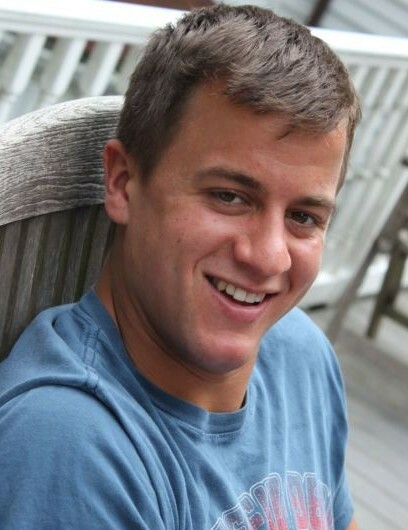 He was a student at the Dexter School in Brookline, MA, Thayer Academy in Braintree, MA, and then went on to graduate from Colby College in Waterville, ME with a Bachelor of Arts in English. Nate was an avid athlete from a young age, and participated in Milton youth baseball and Milton Mustang football. He also took part in athletics at the Dexter School, where he was the team captain of the Mohawks. Outside of organized athletics, Nate loved to play tennis-ball and wiffle ball with his brothers and friends and pitched a “sick” curve-ball. At Thayer Academy, Nate starred on the football team as a tight end/defensive end and on the baseball team as a lefty pitcher with a “nasty” first base pickoff move. He is remembered at Thayer as a role model for his teammates, having won the Stadfeld Award in football, given to the player who “warmed his hands before the fire of life.” He also served as the team captain of the baseball and football teams at Thayer. Nate continued his pitching career at Colby College, where he won the Rookie of the Year Award, and the Braintree Legion baseball team, and was a valuable contributor to his teams’ successes. His athletic prowess on the field was outdone only by his goodwill as a teammate, as he was always a source of positive energy and good humor. Following graduation from Colby, Nate seized the opportunity to share his knowledge and skills as a high school football coach at the Dexter School. He also worked as a youth camp counselor and later in sales, where he used his signature charisma and genuine care to connect to customers and co-workers. Nate loved to learn and was passionate about philosophy, poetry, and writing, and he was extremely gifted in those areas. His bright soul and vivid imagination shone through his colorful characters and his stories reflected his keen insight and empathy for the human condition. When not playing sports or spending time with friends, family, or the family dogs, Nate could be found deep in the texts of his favorite writers, including Emerson, Kierkegaard, Nietzsche and Shakespeare. A true artist, Nate loved writing poetry and songs, playing guitar or taking beautiful photographs of nature. Still, his favorite activity might have been “jamming out” with friends to classic rock and other “jam bands,” but most notably, the Grateful Dead. He was a fantastic performer and played a stirring rendition of the song “Ripple” on the acoustic guitar. Nate was known to have long conversations with his brothers on philosophy, literature, and psychology for hours on end. He was a deep thinker with a profound understanding of human nature, relationships, and religion. Every morning and after a long run, Nate could be found sitting on the front porch drinking a hot cup of coffee, reading an inspiring word for the day, and always ready for a meaningful conversation. He was also full of jokes, had a witty sense of humor and the best belly laughs. His magnetic energy, loving personality, and unique style attracted friends and family to him, and it was impossible to leave one’s interactions with Nate without greater understanding. To our dear Nate: We love you so much. Thank you for walking this road with us. You did it will such uniqueness and grace. Thank you for opening our hearts and for showing us all how to become better human beings. We cannot believe you are gone and our hearts are broken, our sense of loss too immense for words. Even though we know that death is not an end, a huge part of us is missing now. You are now our angel in heaven, just as you were our angel here on earth. Dearest sweet brother, son, and friend, may infinite peace and blessing accompany you on the next level of your soul's journey to the highest realms. Nate was the beloved son of Linda Sugarbaker of Bellaire, TX and the late Dr. David J. Sugarbaker, brother to Dr. Rena Sugarbaker and her husband Dr. Adam Gess, their children Annika, Geneva and Grace of Maple Grove, Minnesota; Dr. David Sugarbaker and his wife Julie Sugarbaker and their son David Sugarbaker of Medford, MA; Debbie Sugarbaker of Houston, TX; Peter Sugarbaker of Erie, PA; and Evert Sugarbaker, a student at Baylor University in Waco, TX. Nate is also survived by many aunts, uncles and cousins. Relatives and friends are invited to attend a Funeral Service at First Parish Milton, located at 535 Canton Ave in Milton, MA on Saturday, December 1, 2018, at 10 a.m. A Burial Service will follow at the Milton Cemetery Garden of Hope.